In chiropractic there are many different approaches. Dr Charlton is often asked what type of chiropractor he is or what type of chiropractic does he practice? ​What techniques does he use? In short, he considers himself an evidence influenced chiropractor. Dr Charlton strives to stay up to date with the latest research and developments in his profession and uses chiropractic techniques that are evidence based. Some people like a firm chiropractic technique and others like a no cracking technique. Dr Charlton offers both. ​He wants the patient to have a good experience with each treatment. Most of all… he wants what you want… results! These techniques have been around forever because they work. First, an analysis of your spine is performed. This involves a case history and X-rays of your spine. Subsequent visits will include feeling the spinal joints move as you turn and bend. A leg check may be performed, to uncover an imbalance in the lower spine and pelvis. When a spinal bone is not moving properly; like a sticky hinge on a gate, a specific manual thrust is used to improve the movement of the joint. The direction, speed, depth and angle that are used is the result of years of experience, practice and a thorough understanding of spinal mechanics. Just as lasers have replaced scalpels in some surgeries, advanced technology has become available to chiropractors to assist in delivering chiropractic adjustments. Dr Charlton uses the latest chiropractic technology in caring for you using the impulse IQ adjusting instrument. This device delivers a gentle precise computer-aided chiropractic adjustment to relieve pain and restore function. The Impulse IQ has a micro-computer housed within the device which produces a controlled force that can treat all areas of the body. The instrument also has a high-tech sensor that responds to your body’s response to the chiropractic adjustment. Chiropractic BioPhysics® is a highly-advanced, scientific, and research driven chiropractic technique that works to correct and restore your spine back to alignment. Chiropractic BioPhysics® combines biology, physiology, physics, geometry, and anatomy to identify the causes of your pain, discomfort, loss of mobility, and altered health. That means your diagnosis – and treatment – will be based on sound scientific and chiropractic principles. People world wide enjoy less pain, more mobility, and improved health because of treatment by a Chiropractor. As good as it is, Chiropractic care evolves and improves based on continuous advances in science and technology. Unlike regular chiropractic that mainly focuses on immediate pain relief, Chiropractic BioPhysics goes one step further to also correct the source of the problem. Charlton Chiropractic Redbank is one of only a handful of clinics in Queensland equipped to provide this care. 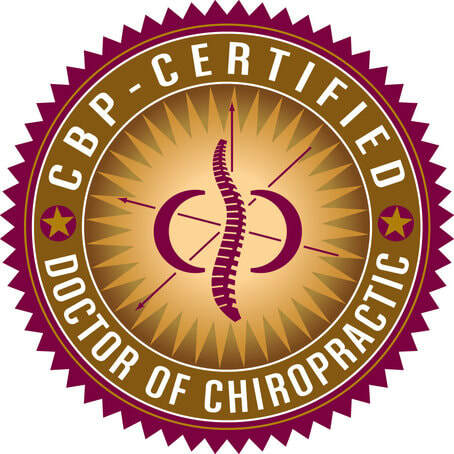 Dr Michael is also one of approximately 15 Chiropractors to hold General Certification in Chiropractic Biophysics in Australia. However, at the end of the day, it is all about you as a patient. We want to provide you the best, most scientific and evidence based care possible. What are some of the key features of Chiropractic BioPhysics®? Clinically researched treatment methods for all ages and all Spinal conditions. Procedures and exercises for home and office. The proper use of devices and tools to facilitate treatment. Effective spinal and postural correction. ​Correcting the problem not just relieving the symptoms. With nearly 200 peer reviewed published periodicals, Chiropractic BioPhysics® is at the forefront of Chiropractic Research. Indeed CBP leads the way in Spinal Rehabilitation, Postural Correction, Structural Alignment and understanding its impact on human health and disease.